Flower Petals for the Lady | Just Shooting Memories! 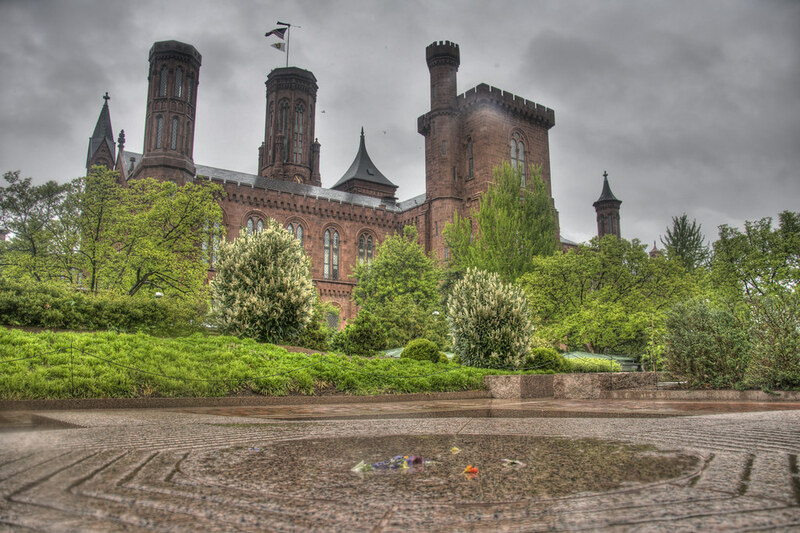 Today’s photo comes once again from the garden behind the “Castle” in Washington D.C. I absolutely loved this place. I wish I had taken more time to explore and photograph. All the photos from here were sans tripod. Maybe soon, I will be able to return and finish my exploration of this wonderfully photographic area. I am fascinated with medieval times, castle, knights…you know, all that stuff. Some of my favorite books revolve around this time period. If you have not read Terry Goodkind’s Sword of Truth series or George R.R. Martin’s Game of Thrones, they are a must. While exploring the garden, I came across this pond. There were no flowers. Yeah, unusual for a flower garden. But there were no flowers any where near. However, there were flower petals in the middle of this pond. I could have taken hundreds of photos of this one thing it intrigued me so much, but, alas, I was unable to do so. I settled on one…or maybe two…okay somewhere in the several range.